After a rather busy work week that included some travel I got a chance to start working on section 31. This is the forward top skin and the instrument panel assembly. 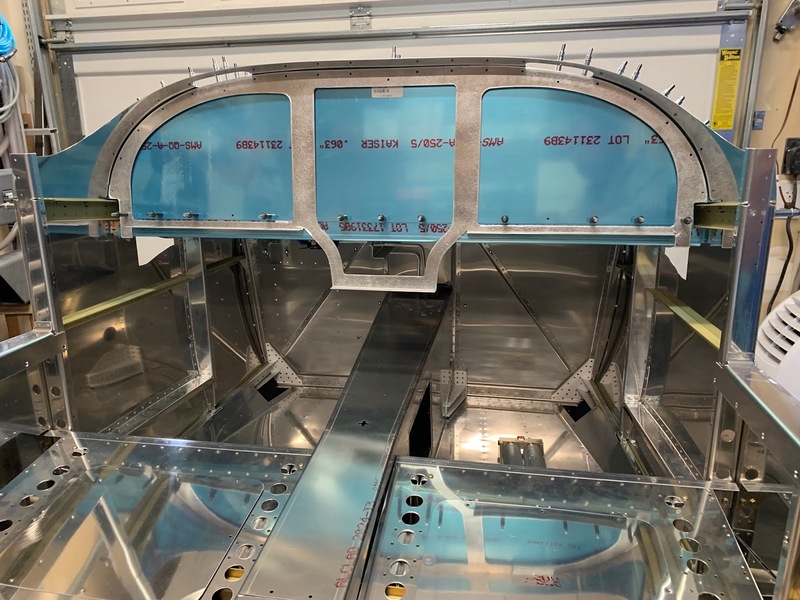 There are a few modifications to this section simply because this is where most of the avionics will be installed. Oh, and I did finally finish riveting the last parts for section 29 so I can officially close the book on that chapter. 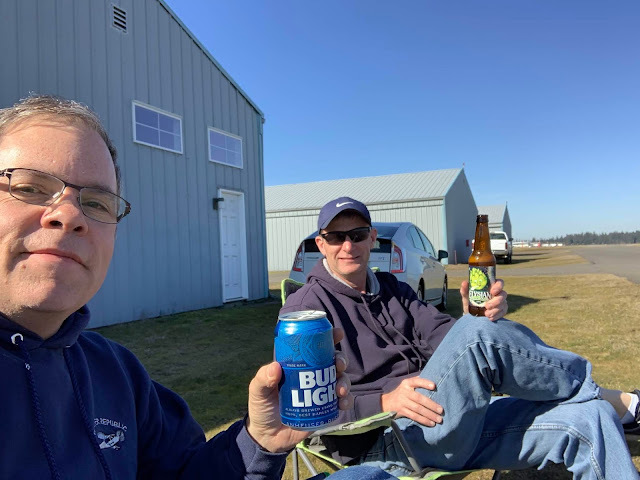 First things first...Jeff and I had our first day of sitting next to the runway watching airplanes for the year. Nice day! This is the section of the airplane I am working on now. This is the first modification I had to make the this section. The center pane of the Panel will have a 10" G3X display (currently that is the plan anyway) but this rib interferes with the placement of the display. So, I cut back 3" and then formed a doubler that will restore the integrity of the part. This is what the panel looks like in a stock RV-10. In this picture you can see that I overlaid the stock panel with the Aerosport 310 panel frame that I will be installing. Its actually on backward here because of the flanges. I wanted to see how much of a difference there was between the two and since both panels are symmetrical it didn't matter when way I put it in.